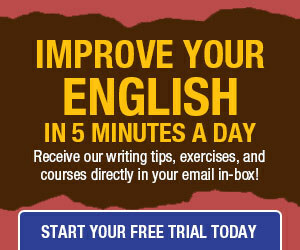 Here are DailyWritingTips.com readers’ queries about plural usage, and my responses. 1. I am working on a book about the mother-in-law/daughter-in-law relationship, and the author has used MIL and DIL throughout to abbreviate. But the plural forms of those terms are mothers-in-law and daughters-in-law, so what are the plural forms of the abbreviations? 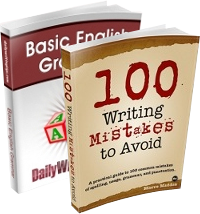 The author uses MILs and DILs, but that style incorrectly implies that the plural falls at the end of the compound noun (mother-in-laws and daughter-in-laws.) Should the abbreviations be MsIL and DsIL? Mother-in-law and similar constructions include what’s called a postpositive adjective, in which an adjective follows the noun it modifies. (The second words in “attorney general” and “accounts payable” are also postpositive adjectives.) In abbreviations of such terms, ignore the position of the plural form, and attach the s at the end, or omit it altogether. For example, “attorneys general” is abbreviated AGs, not AsG, and “accounts payable” is abbreviated APs, not AsP. If you’re going to abbreviate mothers-in-law, MILs is the way to go. 2. Our team mascot is a wildcat, so I would expect people to use Wildcats when talking about the school teams in general. Is there a rule for singular or plural use when identifying a specific organization, as in “We are the Wildcats” or “This is the Wildcat football program”? 3. When someone says, “He only answers with yesses and nos,” is that the correct way to spell the responses? Also, do I need to put each word in quotations? I could revise to “He only answers with yes or no,” but what if I have to record the statement verbatim? The question of plurals made me think of a phrase I’ve seen several times, and which still puzzles me. When you use expressions like ‘type of’ or ‘kind of’, are you not required to use them in plural if the following noun is in plural? For example: “The type of products we offer…” or “What kind of cats do you like?” I would personally want to use ‘types’ and ‘kinds’ to keep in line with the noun, but don’t really see it used that way very often. What’s the justification for using singulars in these cases? Why wouldn’t it be “This is the Wildcats’ football program?” Quetion: do I have the question mark in the correct place; i.e., inside the quote? When reporting runs batted in, should one used RBI or RBIs? The use of Wildcats here is attributive, as in “John Smith is the Wildcats quarterback.” When you’re merely identifying an entity with a proper noun, rather than indicating possession, the attributive form is appropriate. 2. The rule I learned about forming a plural was that, in a single or accented syllable, if it ended with a single consonate preceeded by a single vowel, the consonant was doubled before adding “es.” So then, “yesses” would be correct. Has that rule been changed?